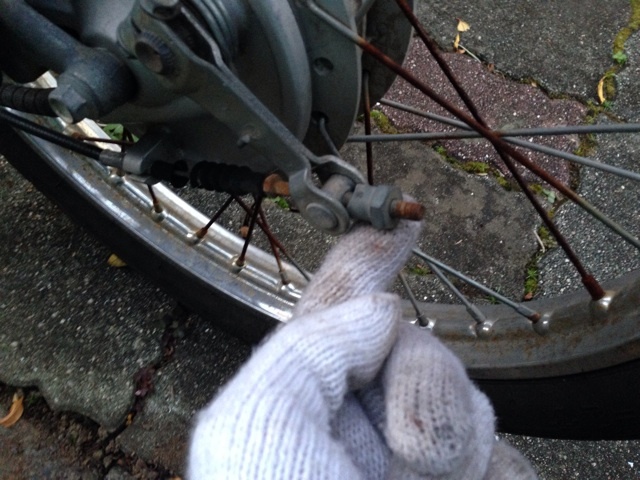 The brake cable of my super cub have been broken. So, I change it !! 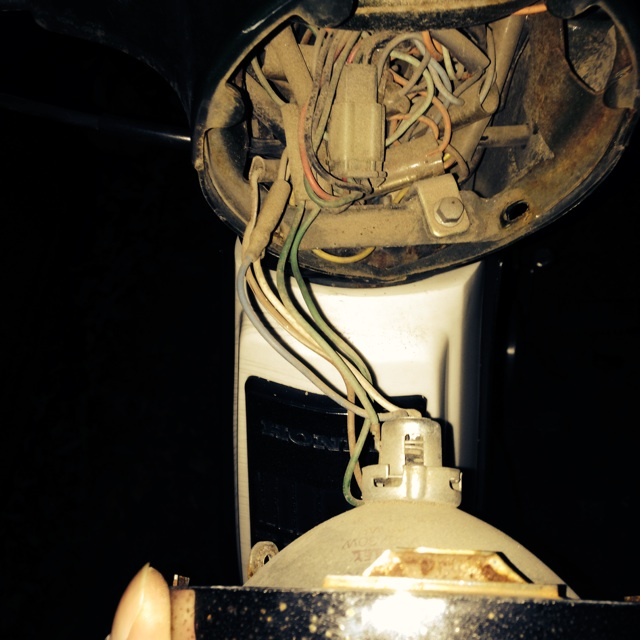 First of all, I take parts attatched to the cable off. 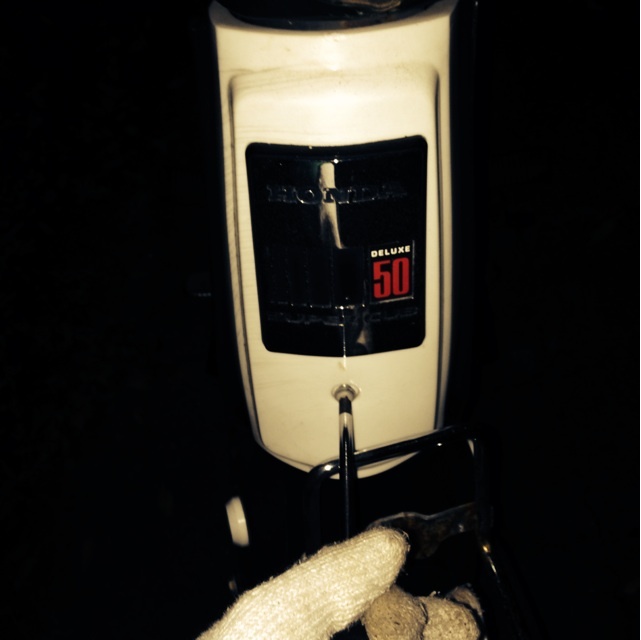 Taking the nat on front tire off. then take the wire off. 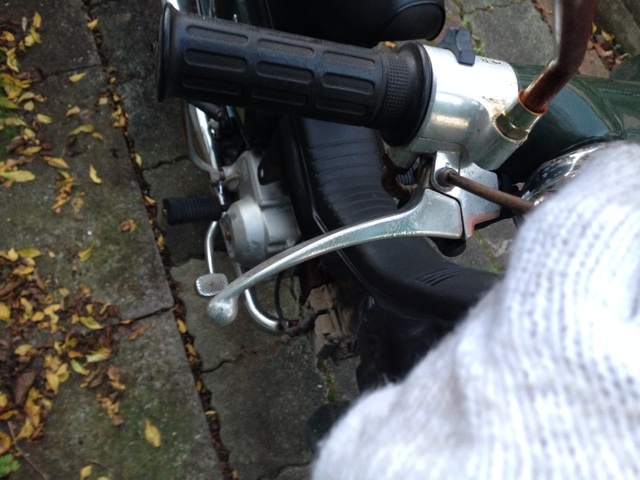 Next, I take it off from the brake lever. I should screw this one off. 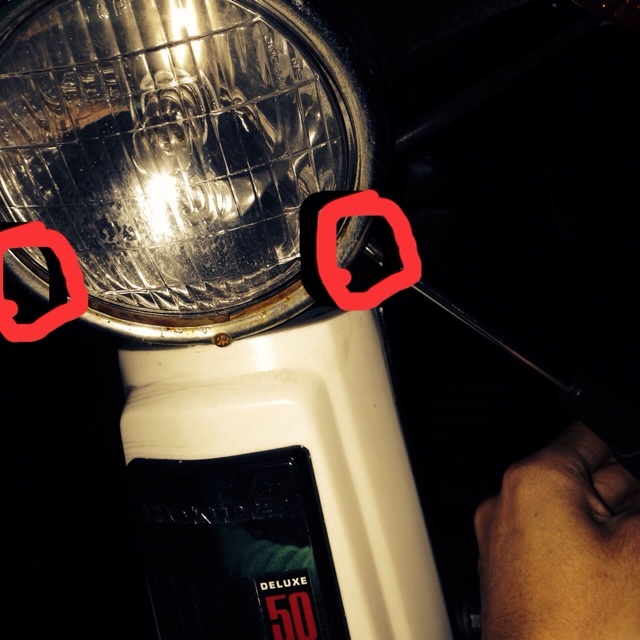 By the way, I found the good article when I thought of the broken screw. 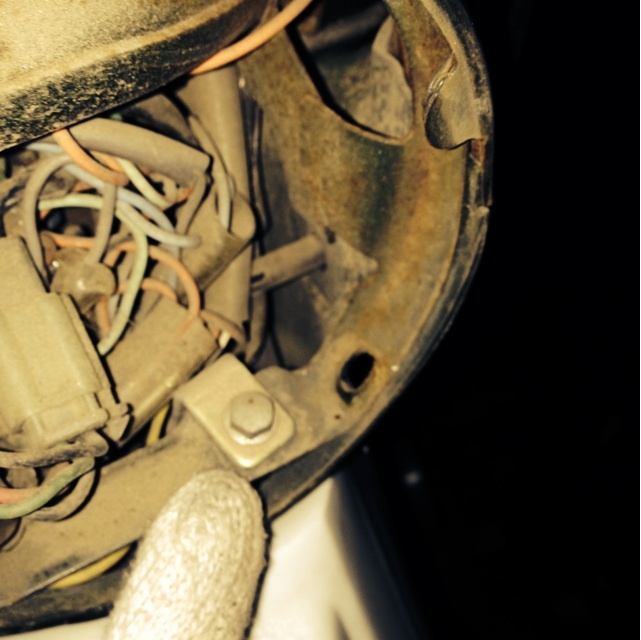 This article is maintenance diary of super cub written by newspaper shop. I'll use as s reference. And, taking new heart, I take head-light off as written in reference. 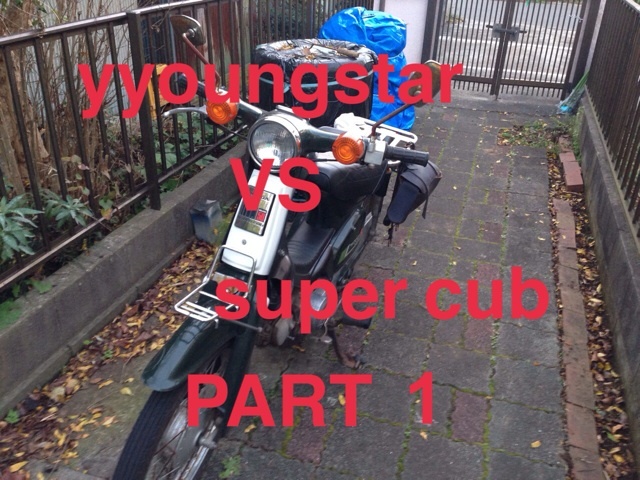 Super cub has the red cheeks. It's too durty inside of it. And then, take the front-cover off. 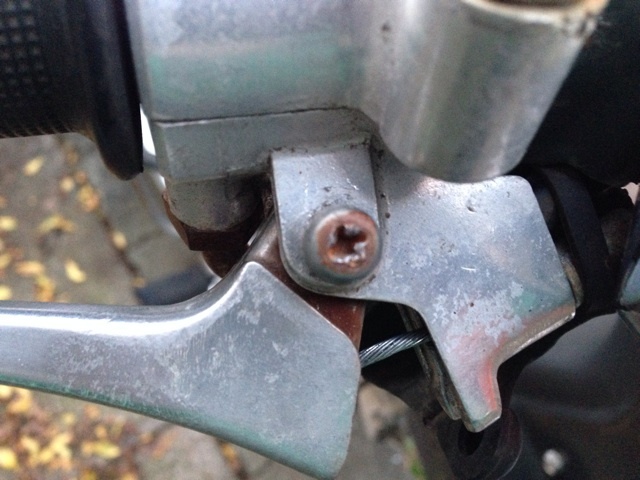 I'll start at loosen this bolt. By the way, there is "Neji-saurus" at home. 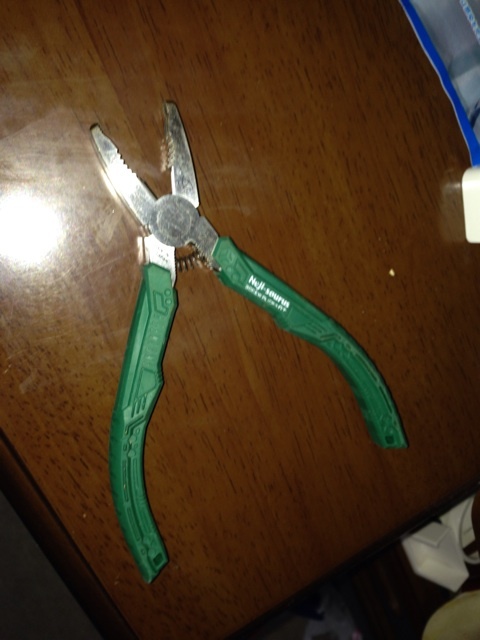 It is used for screwing broken ones off. My father said "Ofcourse I have it." with smag face. 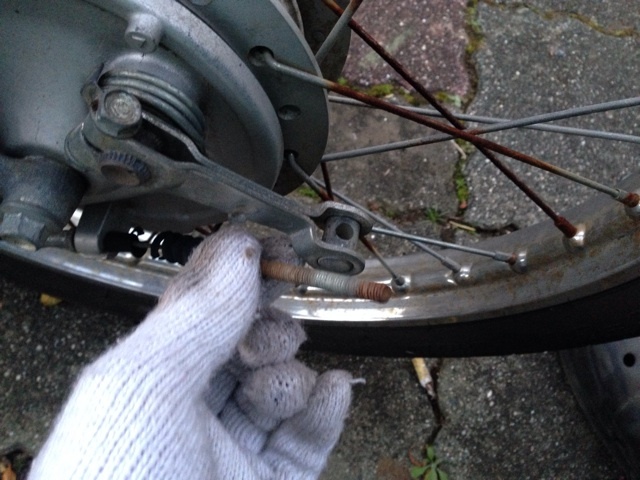 カブのブレーキケーブル交換するよ！ その2 / I try to change the brake cable of my super cub. part 2 - 仰げば若星 / yyoungstar in the sky.